Comment: In today’s first text we read the Ten Commandments. They are a way of telling us how to live our lives and what rules we need to follow to be in community with one another and with God. When readers follow Buffalo to kindergarten, they learn about the first day of school and explore the different rules that a buffalo (or any kindergartener) needs to follow to ensure everyone fits and is safe within that community. When Buffalo gets angry, he’ll “stop, take a deep breath, and remember the rules for sharing and caring. That’s why kindergarten’s so great. You learn to get along without using your horns.” Use this story to help enter a conversation about getting along, and how the Ten Commandments can help us to share and care. Comment: Today’s text gives us pause to reflect upon the trouble that can come of trusting our own wisdom rather than the wisdom of God. 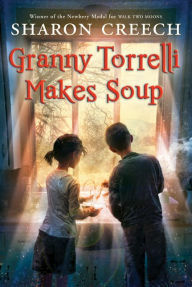 “Though we know better, Christians sometimes fool ourselves into believing that we can rely upon our own abilities, our own expertise, our own planning and sophistication.” (Feasting on the Word, Year B, Volume 2, p. 89) In the book Granny Torrelli Makes Soup, Rosie is stubborn and has trouble understanding her friend Bailey’s anger. Granny helps Rosie with her friendship problems by helping her gain some perspective and insight. 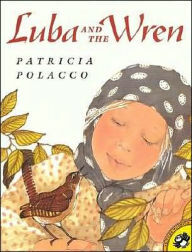 By talking with Granny and looking beyond her desires for the wisdom she needs, Rosie is able to repair her friendship. In the passage from John, Jesus is condemning the behavior that had come about when the temple authorities lost sight of their true purpose and sought to be grander. Paul C. Shupe suggests that it is doubtful the institution fully sought to exploit God’s good name, rather it is likely they “settled into comfortable behaviors that enabled them to meet institutional goals, turning an increasingly blind eye to the unsavory possibilities of corruption…” (Feasting on the Word, Year B, Volume 2, p. 94) Similarly, corruption creeps into the lives of Luba’s parents when they continue to seek grander lifestyles from the Wren. The book’s images build into dark, angry rage. Readers experience righteous indignation not unlike that held by Jesus in the text. This anger leads to transformation and a return to life focused on that which is good. The Lectionary Links this week were written by Union Presbyterian Seminary student Rachel Mastin and alumna Noell Rathbun-Cook. Lectionary Links: Sunday, March 11, 2012 by Storypath is licensed under a Creative Commons Attribution-NonCommercial 4.0 International License.